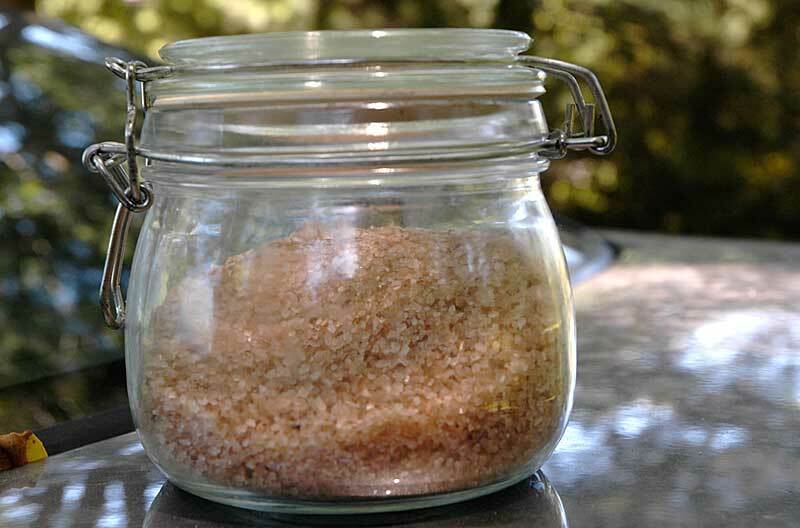 Smoked salt can be a great finishing salt for vegetables and baked potatoes. There is smoked salt available but it generally is artificial flavors and colors. We're going to make the real thing. Since salt doesn't need any cooking, we're not going to start a charcoal fire, we just want some wood smoke. First get and old soup or vegetable can and a brand new 30 watt soldering iron ($5 in the automative dept. at walmart). I like the taller cans. Drill some small holes in one side of the can, and a hole in the bottom large enough to hold the soldering iron. You should wind up with something like in the picture. 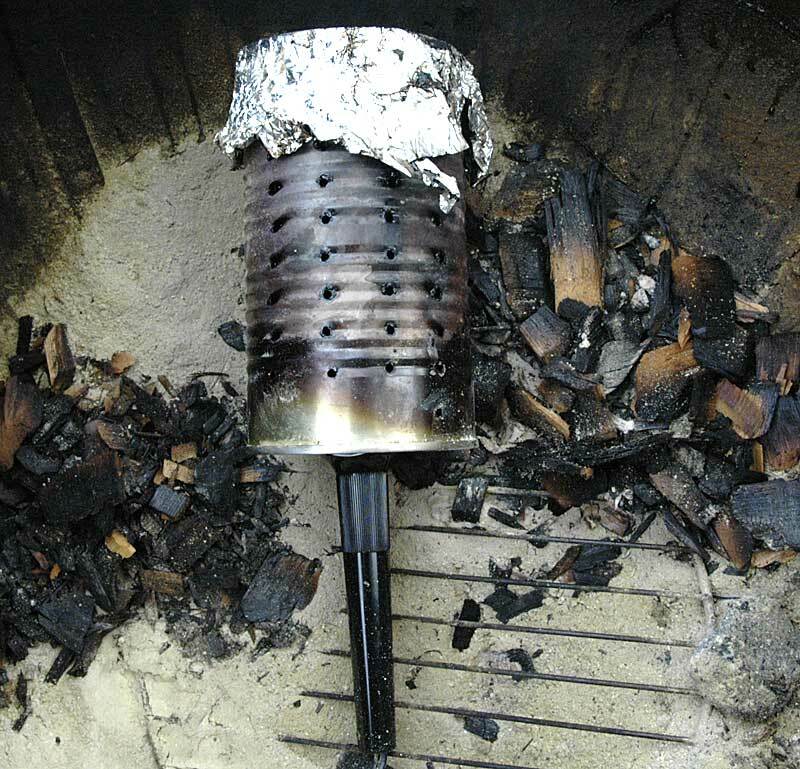 It is probably a good idea to add some hot coals to it next time you grill just to burn out any plastic liner in the can before you use it. 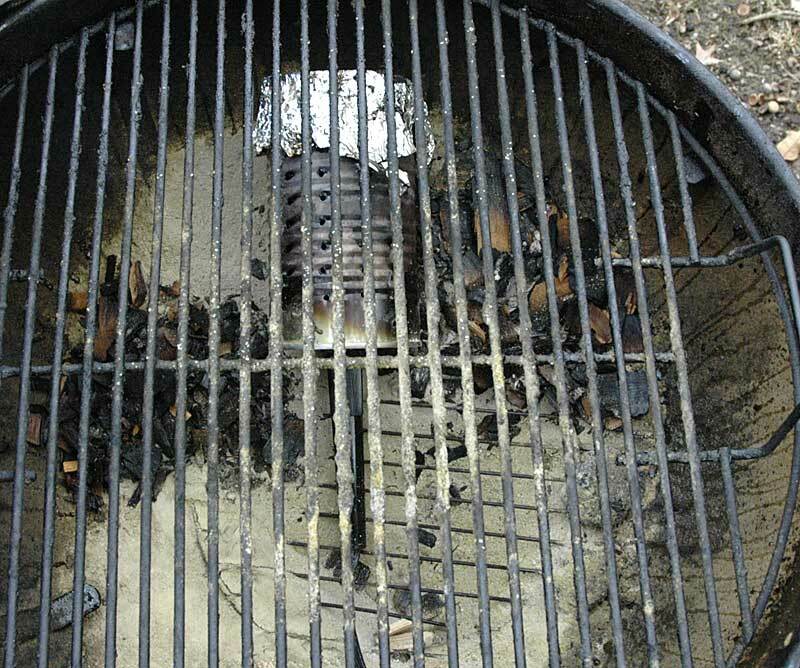 Fill your can with wood chips, cover the open end with a piece of aluminum foil, and place it in your grill or smoker. Spread the salt of your choice out on as many splatter guards as you like. The splatter guards will have be very fine mesh to not let the salt fall through. I've found Morton's coarse sea salt to be big enough to not fall through these. Using a few tin foil balls as spacers, stack your guards (be sure to not place the plastic handle over the can, it will get hot), close the lid (opening the exhaust vent slightly), and plug in the soldering iron. 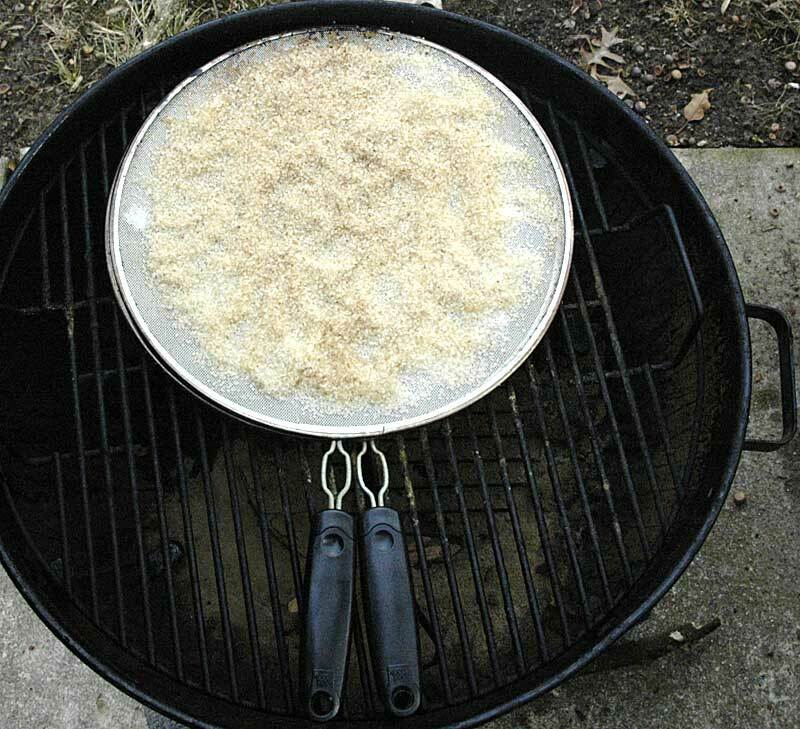 Every hour or two, stir the salt and check the level of wood chips in the can. The can will be hot, use tongs or welding gloves to handle it. I found I can get two hours of smoke on a load of chips with this size can. Salt is slow to take on color and flavor. 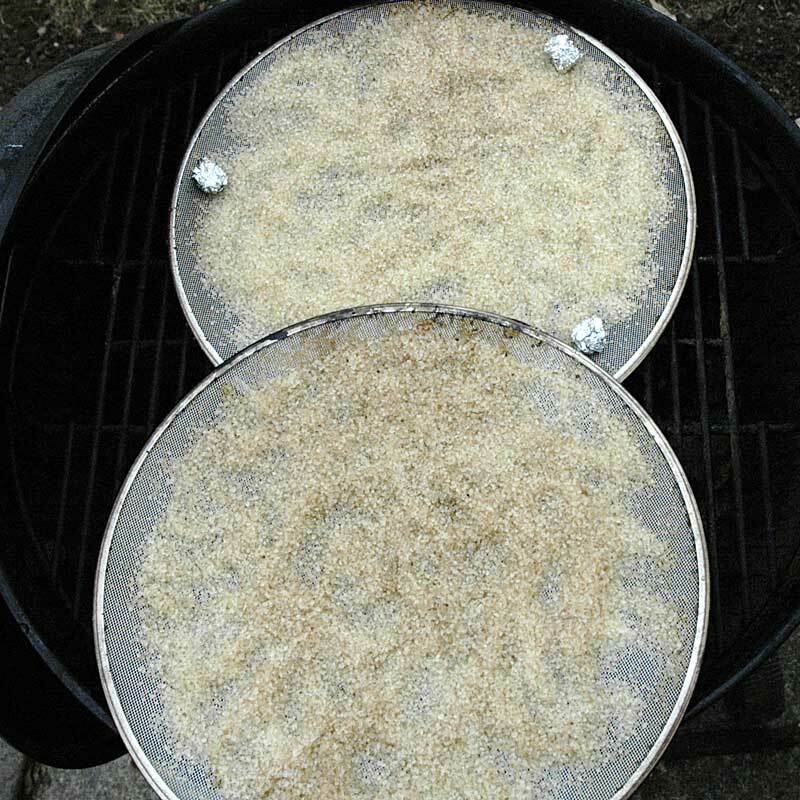 Expect to spend between 12 and 20 hours smoking your salt. I usually do it over the course of two afternoons. 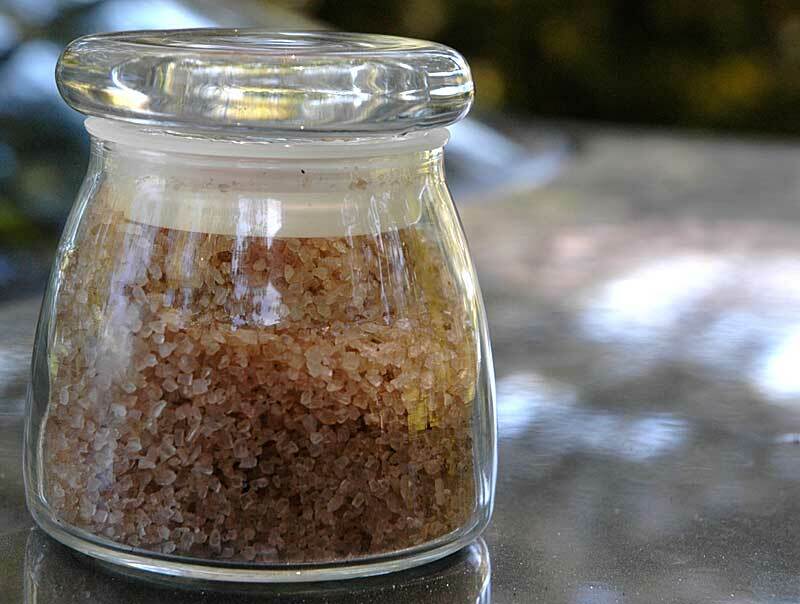 When you're finished you should have a nicely colored and very flavorful finishing salt. A little goes a long way. Store a large container for yourself. Or package it into smaller containers for gifts.